Hate will always be with us. Developmental Psychology tells us that until a human or a group of humans mature to a certain level, there is an allergy to values that are not of our own. To complicate matters further in this area, our shadows will blind us to the possible truth that the traits that we dislike in others could reside in ourselves! 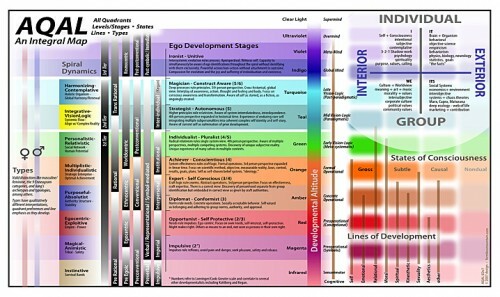 At the tribal level (see chart) of maturity, whatever is a danger to the group is the focus of hate. There is power in numbers and thus we can relax in relative safety. At the egocentric (Warrior)stage, whatever threatens the perceived individual loss of power is the focus of hate. Think gangs, the military and patriarchy for a feel of this level. At the Traditional level, the boundaries are set and whomever does not comply is considered a threat. This level grew out of the need to contain the Warrior level. At the modern stage, science and rationality rules and whatever does not have that world view is a threat. This level is where many of my friends think they can just persuade others with logic and rationality. Ever try that and fail? This is probably why. Only about 5% of the population is at this maturity level so one can see why all hell is breaking loose in the world at the moment! And by the way, every human slides in and out of all these levels at any given hour of any given day. It all depends on what life is presenting and how your feeling about it. Everyone has a right to their values but someone who is trying to get others to act out of fear is not doing the greater good. When folks are acting out of fear, they are responding from a part of their brain (amygdala) that cannot be creative to actually solve a problem but acts out of fight or flight. The prefrontal cortex (reasoning, creative part) shuts down, and the focus is on keeping safe both physically and psychologically. There was once a saying “it takes all kinds to make the world go around” but currently it seems there are many that believe only one way makes the world go around, and it’s their way! Lately, it seems there has been an uptick in usually good people using their power to incite people in fear! It is so disappointing to see this and I for one would like to see them use their power to inspire instead are stoking the fire of fear! When life conditions are good, it is easier to grow developmentally to that place of less fear, however, when life is threatening, most folks go to a lower level or one of tribalism because there is safety in numbers. The fear rules and with all thing’s the Internet, the fear spreads like wild-fire! Havoc and hate ensue! So what to do to keep the fear down and thus also possible hate? Take a relaxing breath and do something fun to better deal with stress. Keep off the fear mongering social media and get out into nature, which will give you a more realistic perspective on life. Give and or get a hug from a fellow human being! Watch a funny movie! Take a bath or get a massage! Find what makes you happy and do it! Agree or disagree? I would love to hear your perspective if it is constructive but keep quiet if you just want to be mean and hate. Author Terry CollinsPosted on November 1, 2018 November 2, 2018 Categories Integral Futures2 Comments on The Future of Hate! Revisiting the “other” or why we should stay calm and give Trump a chance…..for now. Emotions are running high since our president-elect has been announced! There have been protests in various cities, walkouts of high school and college students and new Facebook pages organized around this. No one can stay objective to the values of others when their emotions are high because it evokes the “fight or flight” response. When this happens our capacity to hold multiple perspectives becomes narrower as we have less access to our neocortex while the amygdala is in command. (http://bit.ly/2cRGlzm) I don’t blame anyone for expressing their authentic emotions and personal truths. However, in order to do a better job of forecasting as a Futurist, it’s much easier if we don’t make someone unlike ourselves the “other.” And, if we can objectively observe values, then we can forecast future behavior more accurately. On September 11, 2011, I wrote a blog on the “other” ( http://bit.ly/2geFmg9). In it, I reminded folks that Integral promotes all perspectives because they may have partial truths. Furthermore, if there is a strong reaction to something, then it should at least be explored for “shadow” issues that need to be healed and integrated into our whole consciousness. The value in this integration is, so that we have a better chance of controlling these issues instead of them controlling us. Every good futurist has a responsibility to explore their blind spots for questionable assumptions. I was disappointed when Trump won the election. Hubby and I both caucused for Bernie as he comes closer than any other candidate to our personal values. Since he lost the primary, we got behind Hilary, but I told hubby and my Trump friends that I thought Trump had a good chance because I know the center of gravity values in this big beautiful country of ours is closer to Trump than Hilary. However, since the popular vote went with Hilary, it gives me hope the values of the country are going in the direction of more inclusion and pluralism. (http://spiraldynamics.org/faq-basics/ ). If you know the values within a group or individual, it is easier to assess what their behavior will be in the future. While our new president-elect is certainly difficult to pin down where his authentic values are, I personally am going to try to take the high road, stay calm, and give him 100 days to see if he may be a better president than anticipated! How about you? Author Terry CollinsPosted on November 17, 2016 November 17, 2016 Categories Integral FuturesTags "other", Forecasting, Futures, integral theory, shadow4 Comments on Revisiting the “other” or why we should stay calm and give Trump a chance…..for now. Richard Slaughter was the owner of this domain for many years but has graciously transferred it to me for which I am grateful and will do my best to be a responsible, conscience steward. It is my intention to share with you my thoughts on what is happening in the world of Futures and Integral and Integral Futures specifically. I would love to collaborate with you so feel free to contact me with any thoughts to expand or disagree. Thanks for joining me on my journey. My interior consciousness has value… or why I love the upper left! My favorite spiritual practice is “ecstatic dance” as there is something about moving the physical body which also moves whatever is stuck which is able to rise to consciousness whether it be some type of creative solution or other “ah ha’s” that may arise. Every once in a while, if I’m lucky, I enter an altered state where instead of me doing the dance I am able to rest in the state of being danced. It feels like heaven and I call it a “dancegasm”! Do you have something similar that happens to you that is generated from the upper left? Author Terry CollinsPosted on October 13, 2016 November 11, 2016 Categories Integral FuturesLeave a comment on My interior consciousness has value… or why I love the upper left! Before you start thinking I’m about to expound on some horror movie or equivalent such as the “thing” let me explain. One of the reasons why Integral is important to Futures is because with this perspective it makes inclusion of the “other” a priority. In order to cover all the bases of the Integral map or framework, the “other” must at least be considered. That does not mean the “other” may have all the truth, but it may have some or parts of the truth which give a fuller, more comprehensive picture of whatever Futures angle is being explored. The main two reasons why I respect the Integral framework so much is because it includes the subjective but also because it has a “shadow” component to it that most models do not have. Carl Jung said that whenever an individual has an emotional charge either positive or negative to another individual s behavior, it may be because of disowned parts of themselves that are projected on to others. An example of that would be when an individual who is clearly angry is denying their anger and accusing others of possessing the anger. So not only does Integral make a Futures endeavor more (w)holistic, but it also is attentive in making sure it is psychologically developmentally healthy, which is always something worthy in my opinion. How about you?